MILTON — There is just one more week to collect toys for the Toys for Tots program at T-Ross Brothers Construction Inc. So far we have filled one box and continue to fill our second collection box with toys for children in need this Holiday Season. Aside from monetary donations over the years, T-Ross Brothers decided they wanted to also collect toys, which will be given to local families. Local Marine Corp Toys for Tots collection campaigns began across the country in October. Toys for Tots drop boxes are located in over 700 communities covering all 50 states, the District of Columbia and Puerto Rico. Members of the community can drop off new unwrapped toys in those collection boxes. You can drop off toy donations at T-Ross Brothers Construction through December 8th. The toys are then picked up and stored in a local warehouse where they are sorted by age. At Christmas, Toys for Tots coordinators are assisted by local church groups, non-profit agencies and community agencies to deliver the toys to children in need here in the Susquehanna Valley. The Marine Toys for Tots Foundation says more than 15.5-million children are living in poverty. We hope you can help local children this holiday season by dropping off toys at T-Ross Brothers Construction Inc. We are located near the intersection of Routes 147 and Route 45 in Montandon, behind GoodWil’s Restaurant. There is plenty of parking for easy drop-off access. We thank you in advance for your generosity. 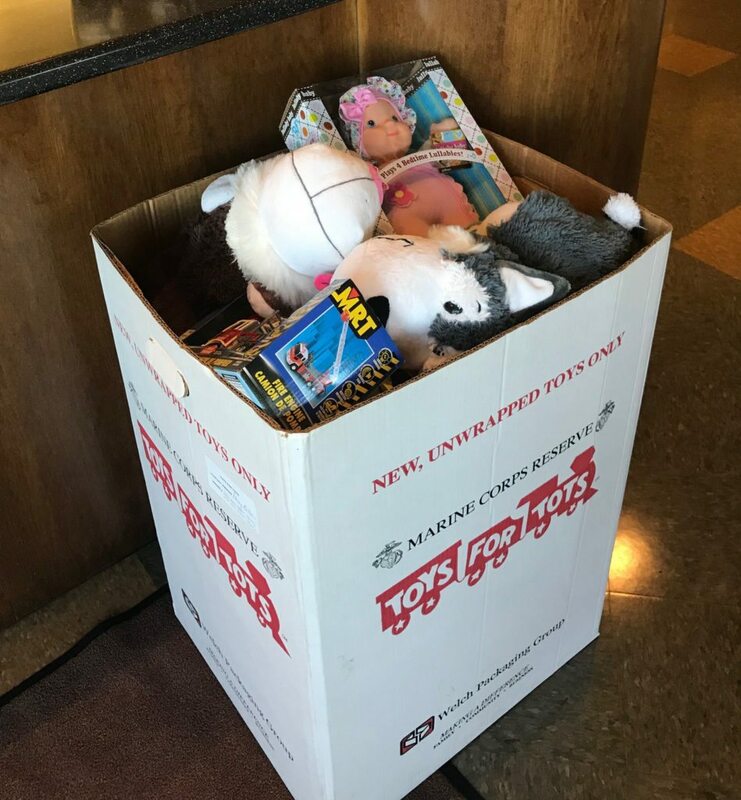 The post One more week left to collect Toys for Tots at T-Ross Brothers Construction appeared first on T-Ross Brothers Construction, Inc..